Whitesburg Elementary opened in December 1958 with just eight classrooms. Mrs. Virginia Black was the principal as well as a 6th grade teacher. By January 1959, 350 students had moved in. By 1961 Whitesburg expanded by ten new classrooms. There were 753 students enrolled including a newly added 7th grade class. By 1964 enrollment peaked at 1425, which later declined as more schools were built. In 1965 the tunnel, which is still used today, was built to safely allow students a way to cross Whitesburg Drive to and from school. In order to raise funds and purchase new equipment for the growing school in 1959 the PTA was formed with Mr. Don Morgan as its first president. Today, the PTA continues to be a vital part of our school and is a critical part of our school success. In 2011, Whitesburg again become one school under the leadership of Mr. Greg Hicks. 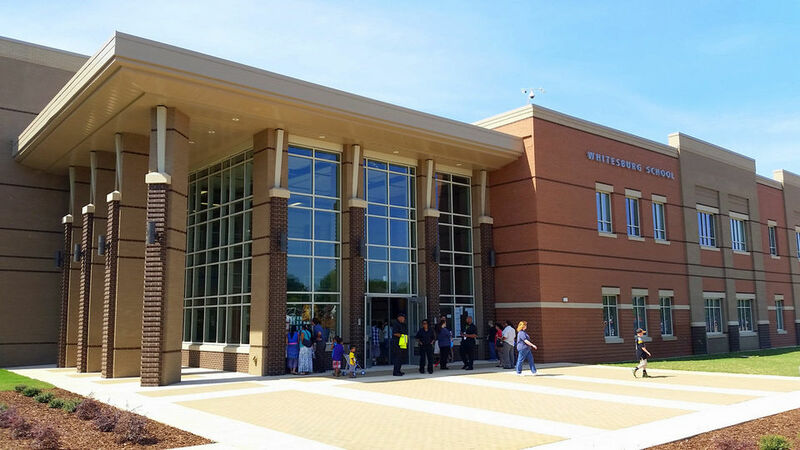 The new WP8 School opened with a ribbon cutting ceremony on Monday, Aug 3, 2015. Whitesburg P8 has a current enrollment of over 1,000 students grades Pre-K through 8th grade. Whitesburg P8 continues to strive to become the premiere P-8 school in the nation under the guidance of Dr. Bradley Scott. Create life long learners in a safe and positive environment that prepares students to be college and career ready.